There’s a new top hairstyle and some of the world’s most stylish gents are rocking it. The bro flow has been popping up on heads everywhere and is injecting a new kind of attitude into men’s hair. 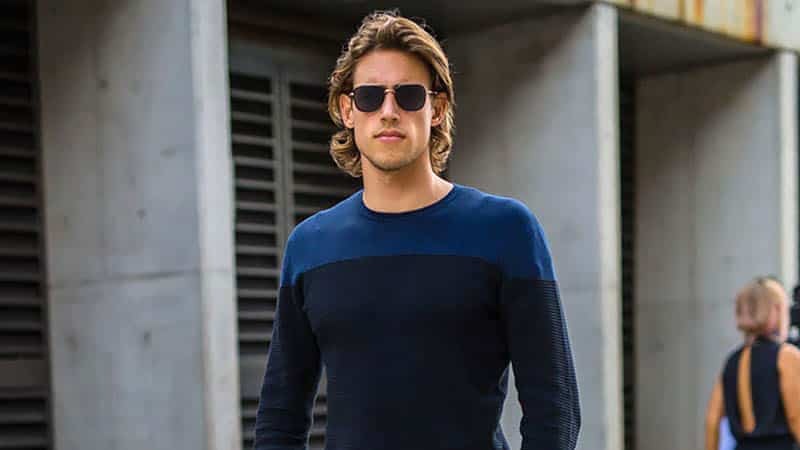 While other popular styles, such as the pompadour and undercut, project a sleek and stylish appearance, the bro flow is all about a relaxed and rugged style. So, if you’re the kind of gent who’d rather sleep in an extra half an hour than get up and style his hair, the bro flow is your kind of cut. Now, all you need to know is how to wear it. Luckily, we can help with that and show you the coolest bro flow hairstyles to try today. The bro flow hairstyle gets its name from its shape and appearance, which appears to flow backwards. As such, the traditional bro flow tends to feature waves that curl back off of the face and neck. So, if you have naturally wavy hair, this simple and stylish look could be perfect for you. All you need to do is gently comb back your hair when wet and allow it to dry naturally. If you don’t have wavy hair, you can opt for a different bro flow style or try to create the look with the aid of a sea salt spray or texturizer. While gents with waves can rock killer bro flows, other hair types can look just as stylish with the cut. 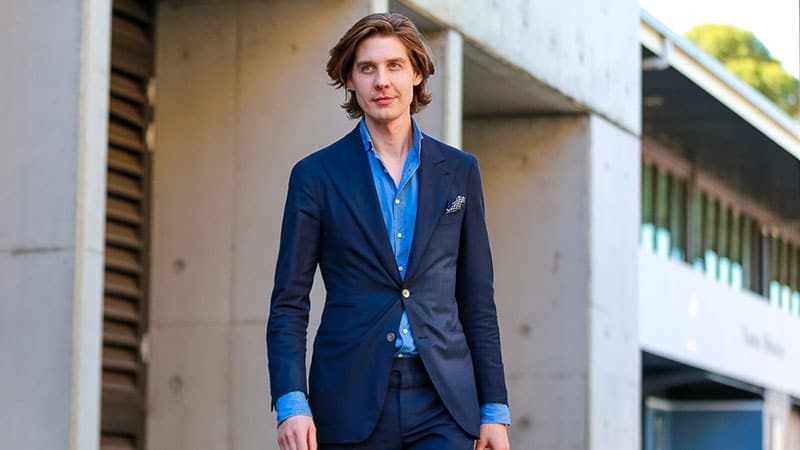 If you have straight hair, you’ll be able to nail a suave and sophisticated bro flow with ease. Thanks to the smooth texture of your strands, your bro flow will appear more polished and sleek than others, so use this to your advantage. Just note that you may have to aim for a longer length to ensure that your locks sit neatly backwards without sticking up or falling forwards. Despite its playful name, the bro flow can make a great business hairstyle when worn right. The trick to pulling off the casual look in a corporate setting is to keep it polished and professional. To do so, ask your barber for a short bro flow with tidy layers. Then, style your strands by combing them back neatly. If your locks naturally appear messy, consider blow drying them backwards after washing while combing into place. Then, use your hands to smooth a small amount of pomade through your hair to lightly secure the style. Gents with naturally curly locks can also pull off a stylish bro flow. 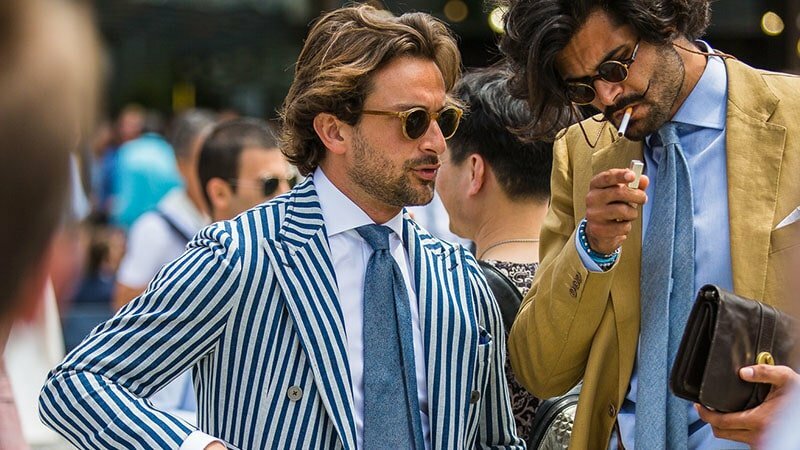 Unlike those worn with straight strands, curly bro flows are best for projecting a relaxed and carefree vibe. Just ensure that things don’t become too wild by keeping your length a little on the short side. Doing so will allow your curls to sit neatly off of your face and behind your ears for a more mature appearance. This length will also work well to show off your curls without allowing them to become out of control. 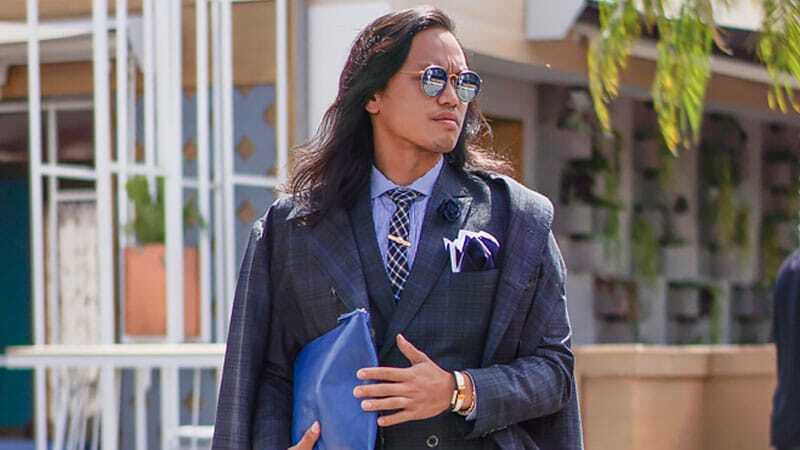 If you love a lengthy mane, the long bro flow could be the hairstyle for you. Thanks to its length and shape, the cut projects plenty of confidence. As such, it’s perfect for stylish, self-assured gents who like to stand out. 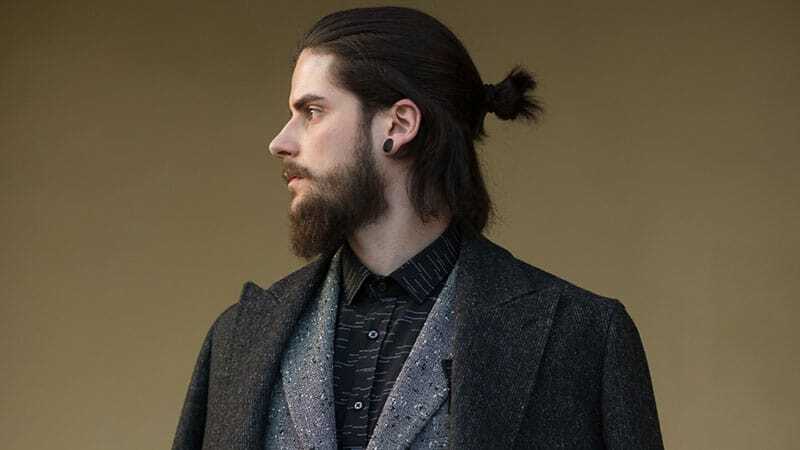 Unlike other long hairstyles, which often feature a middle or side part, the bro flow sits back off the face. Therefore, this impressive style can reveal your features for a more flattering appearance. 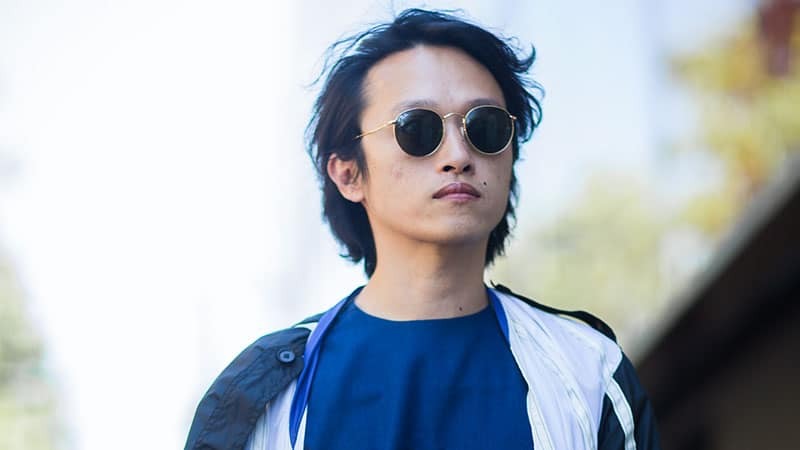 Whether you prefer a minimal hair length or are still in the process of growing out your locks, the short bro flow can make an excellent hairstyle option. The medium length cut is short enough to appear sophisticated and polished while still being long enough to achieve the signature carefree look of the bro flow. Therefore, the style can just as easily be worn to work as it can out for a drink. The bro flow isn’t just for gents in their 20s or 30s. 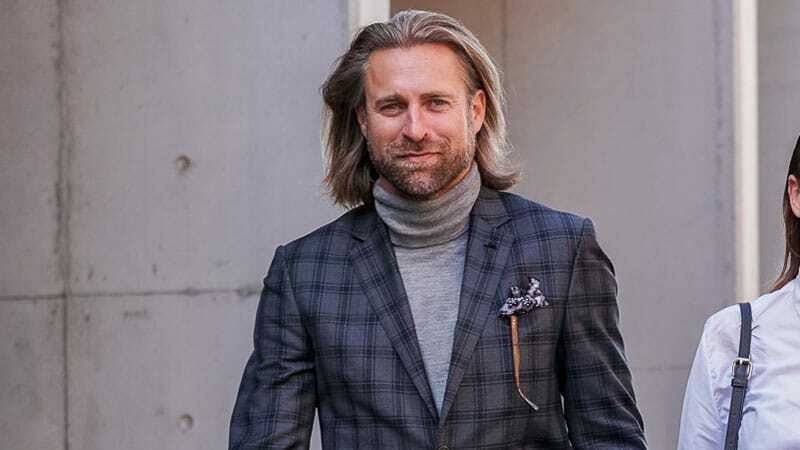 Mature men can also rock the look with excellent results. In fact, the bro flow can make a sensational grey hairstyle. So, if you’ve got silver strands, consider the cut for your next look. Thanks to its texture, length, and swept-back style, the haircut can be perfect for creating a more youthful look without making you appear as if you’re trying to be young. 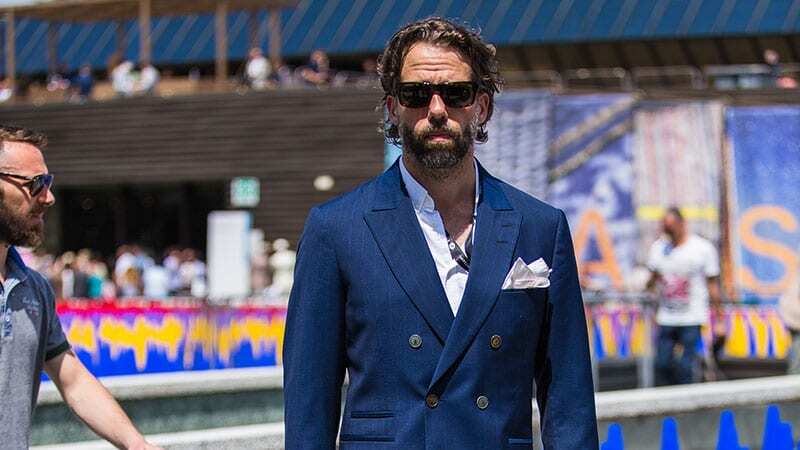 If you like the look of a bro flow but find the cut a little too preppy for your personal style, you should consider trying it with a beard. 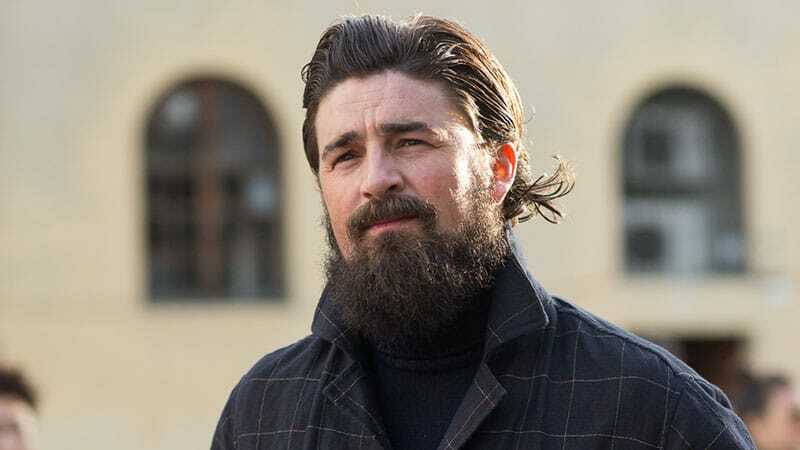 Whether long and bushy or short and well-groomed, a beard can transform the appearance of a bro flow. The result of the partnership will be a rugged and masculine look that’s much more manly than preppy. The combination works particularly well as the swept-back style balances out the beard and stops the face from appearing swamped. 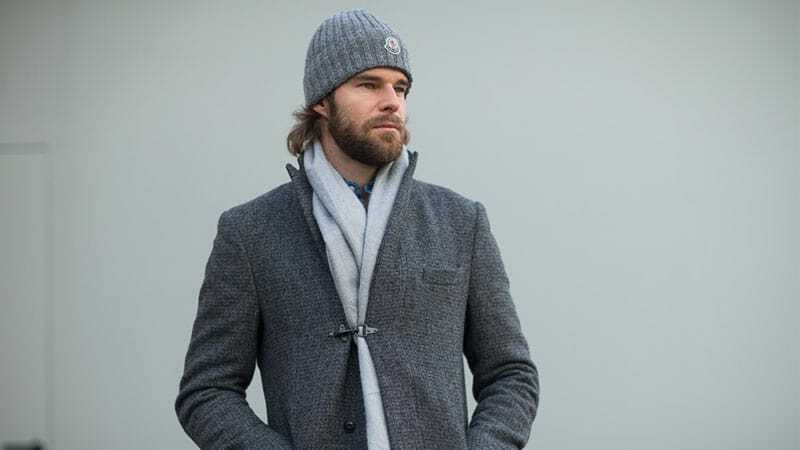 Rocking your usual winter beanie can become infinitely cooler with the help of a bro flow. The top hairstyle looks perfect when paired with a beanie and creates an excellent appearance that you should try. Thanks to the length of the bro flow, your hair will slightly stick out at the back for a seriously stylish look. Just remember to give your hair a quick fix after taking off the hat indoors as the top may be matted and messy. Don’t think that once you’ve achieved a killer bro flow that you must wear it the same way every day. Thanks to its length, the bro flow is quite versatile and can create different looks. One such different way that you can rock your brow flow is with a half bun. The hipster hairstyle makes for a great weekend alternative to the standard bro flow style and is easy to create. All you need to do is comb your strands backwards as normal before sweeping up half of your hair and tying it into a bun. One of the best things about a bro flow is that it doesn’t require much effort to look great. Once you’ve grown it to a suitable length, styling and maintenance are rather straightforward and simple. The main area of effort will be remembering to regularly shampoo and condition your strands. While many shorter styles can get away without being washed, the longer length of the bro flow makes in-shower cleaning a must. Then, once your hair is clean and conditioned, comb your damp locks backwards so that they sit back off your face. Now, all you need to do is allow your hair to dry naturally and you’ll have a killer bro flow style that’s completely your own. Choose a bro flow hairstyle if you want a relaxed and ruggedly handsome appearance. To achieve a bro flow, grow your hair out to a mid or long length. Tailor your bro flow cut to suit your hair type, be it curly, wavy or straight. Regularly shampoo and condition your strands as the length of the bro flow makes in-shower grooming a must. Style your bro flow by combing your damp hair backwards and allowing it to dry naturally. If your hair doesn’t sit neatly, try blow-drying your strands back and using a small amount of pomade to secure the style.